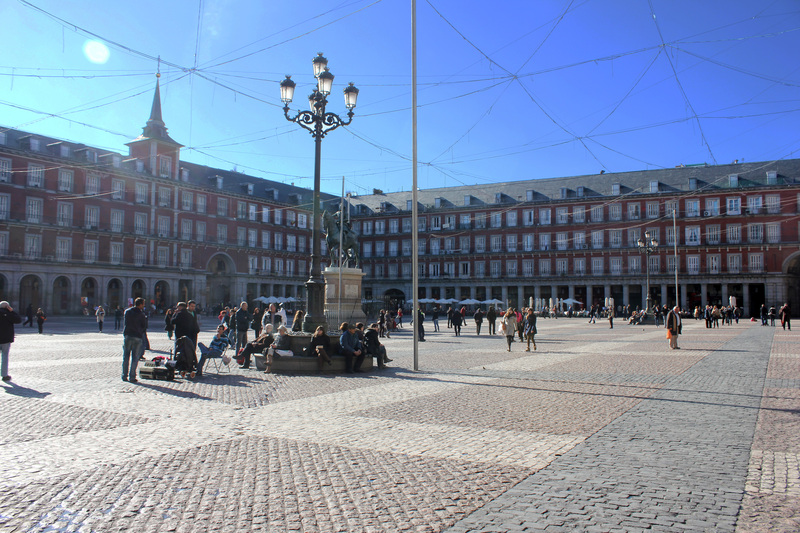 Popular today among tourists and locals alike, Plaza Mayor has certainly been through its fair share of changes over the years (or centuries, rather). Built in the 1600s, the square has been used for coronations, celebrations, bullfights, and even executions. 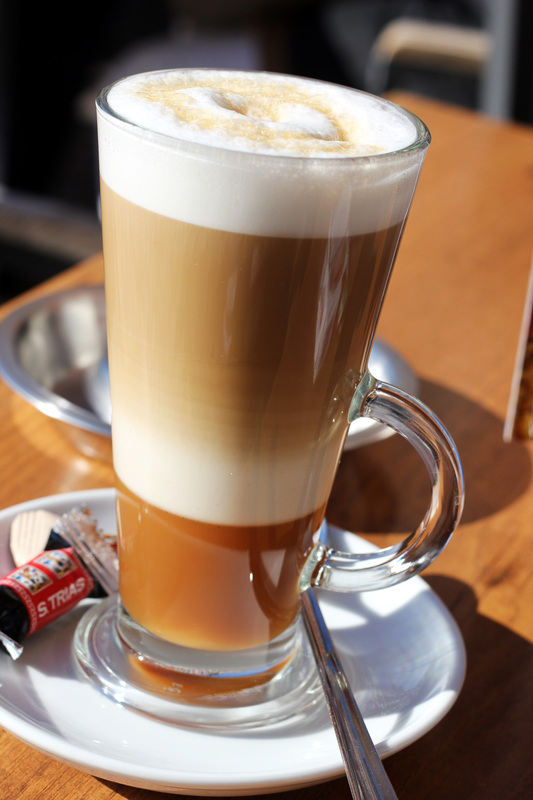 Now, the square is a common gathering place and a popular tourist attraction, featuring a wealth of cafés, restaurants, and shops. 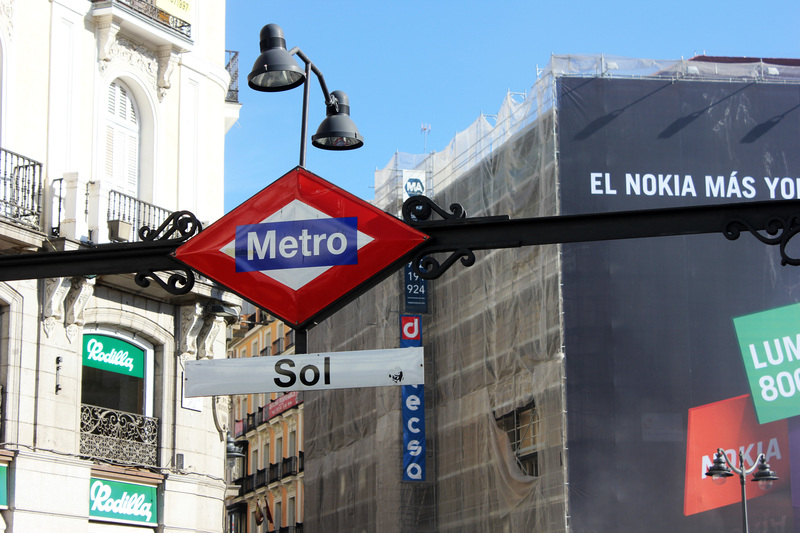 The easiest way to get to Plaza Mayor is to get off at the Sol metro station, Madrid’s most active station, which will drop you off at another famous square, Puerta del Sol. 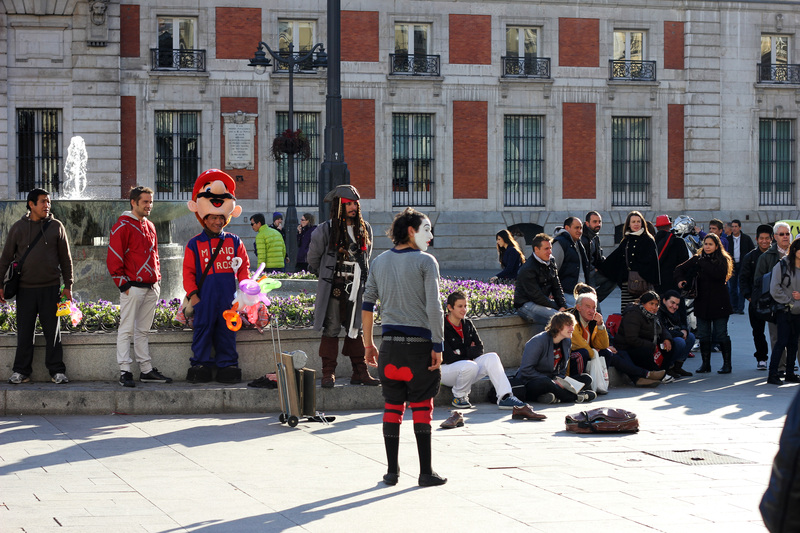 Puerta del Sol is often packed with tourists, residents, shoppers, and more, and it can easily be considered the true heart of Madrid, with many attractions and landmarks nearby. Regardless, just a few blocks away is Plaza Mayor. The vibe there is, for lack of a better word, awesome. Mark my words: You can literally spend an entire day simply sitting at an outdoor cafe in Plaza Mayor, and it will be one of the best days of your life. 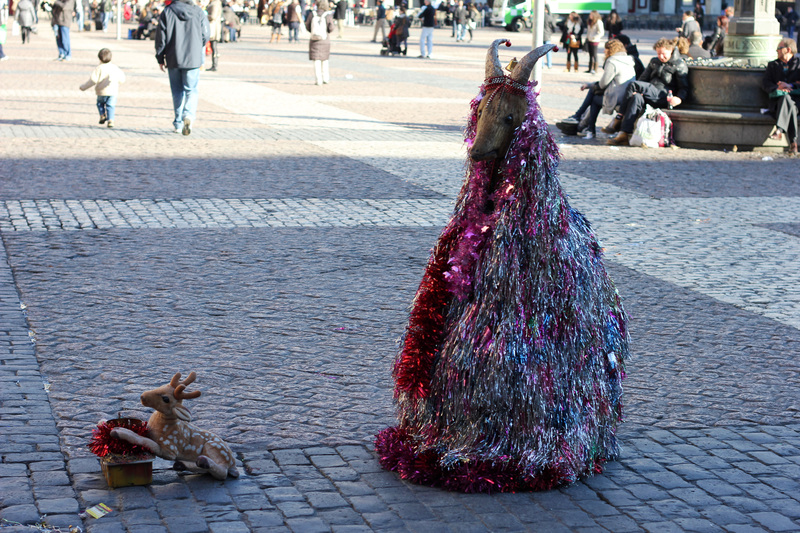 The sights, the sounds, the chatter, the laughter, the wine, the street performers– it’s all great. 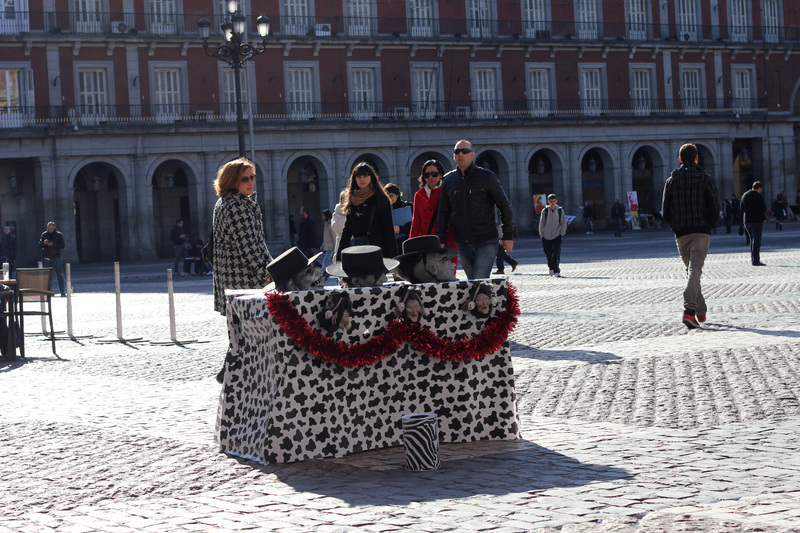 If you're lucky enough to catch this guy at Plaza Mayor or Puerta del Sol, you are in for a treat. 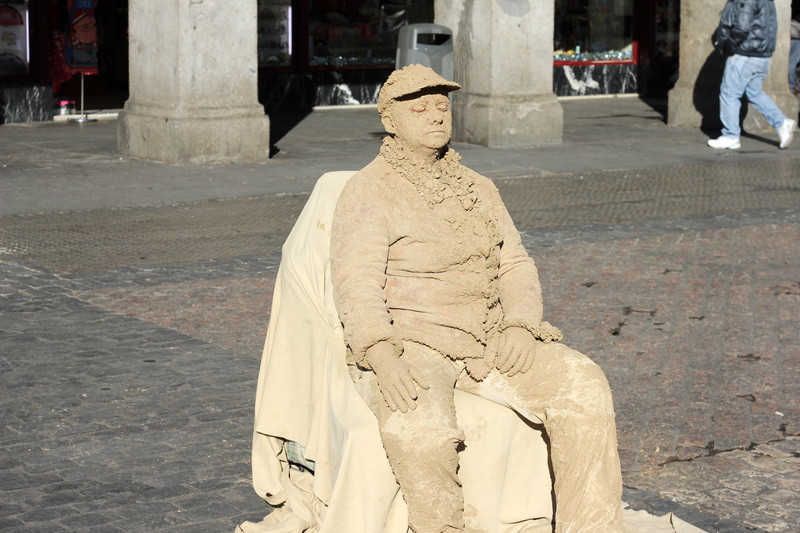 He hilariously toys with passerby, and nearly every gag he pulled had me laughing out loud.